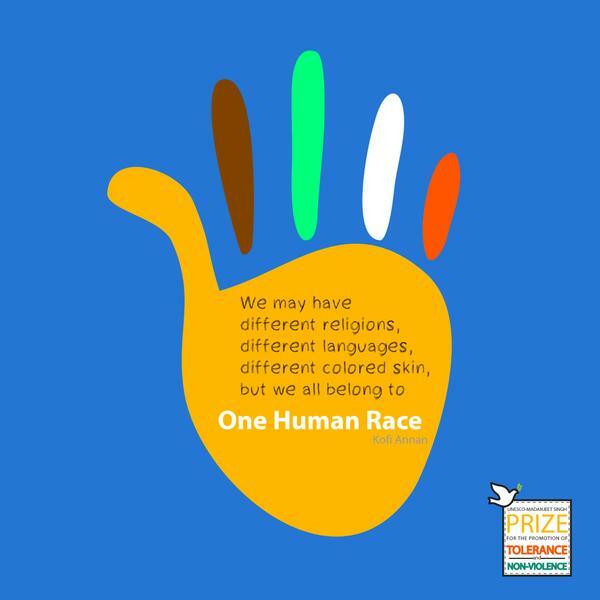 The United Nations has designated today as the International Day for Tolerance. This action followed on the United Nations Year for Tolerance, 1995, proclaimed by the UN General Assembly in 1993 at the initiative of UNESCO , as outlined in the Declaration of Principles on Tolerance and Follow-up Plan of Action for the Year. Dialogue, understanding and mutual respect are good and important. But they are all starting points as we seek to honor and welcome one another as God’s children, live together as the human family, learn from one another, dismantle privilege and systems of oppression, build liveable communities of co-equality, and care for all creation, including the human creature. May this day be a time to renew our efforts.